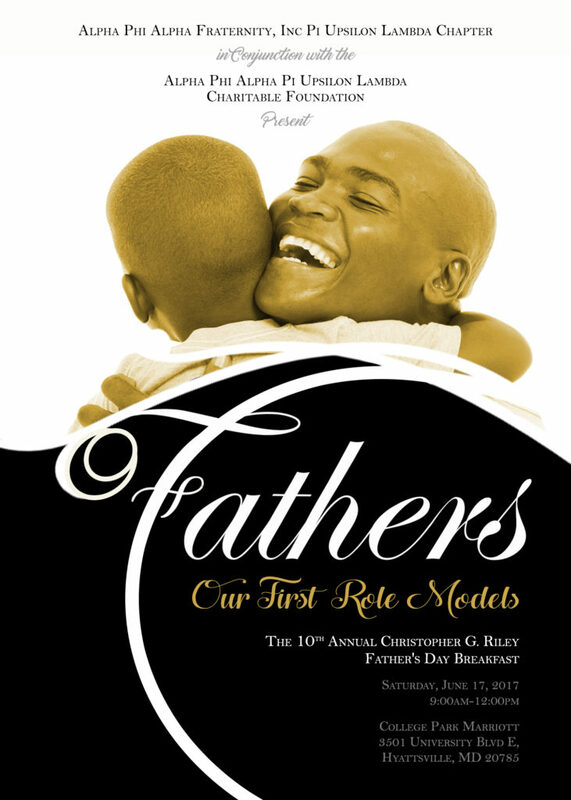 10th Annual Christopher G. Riley Fathers Day Breakfast - Alpha Phi Alpha Fraternity Inc.
Upper Marlboro, MD – –The Alpha Phi Alpha Fraternity, Inc. Pi Upsilon Lambda Chapter (PUL) based in Largo, MD in conjunction with the Alpha Phi Alpha Pi Upsilon Lambda Charitable Foundation , will host its 10th annual Christopher G. Riley Father’s Day Breakfast. The Breakfast will be held on Saturday, June 17, 2017 from 9:00 AM to 12:00 PM at the Marriott Hotel and Conference Center in Hyattsville, MD. For tickets and additional information, please visit our Eventbrite page below!